There is not one set mortgage rate that everyone gets when it comes time to buy a property. Depending on your own financial situation, the downpayment you are placing on the home, the location, and also what kind of property you are purchasing. It is relatively common knowledge that if you are buying a business or commercial property that the mortgage rate will be higher, often by around 25%-75%. When it comes to mortgage rates for residential property though, there are still discrepancies depending on the type of dwelling you are purchasing. Many people are surprised to find out when they are looking to buy a condo or townhome that the interest rate is higher than if they were buying a detached home. Condos are a riskier loan than a detached home, and financial institutions will look into a variety of factors that are unique to condo living when they are deciding to lend to you. Financial institutions do not like vacant condo buildings, and will usually need a certain percentage of units in the building to have people living in them. They also may look into how one single individual owns many units in the condo. If a single person owns more than 10% of units in the building that may be a problem. Sometimes, if it is a new build, lenders also do not want to lend money unless the project has been mostly sold, upwards of 90%. One of the most significant risks though is the shared property that a condo owner has a part in. There is the individual condo unit but a divided interest in all of the common areas that exist. If the condo association does not have enough in reserve, proper insurance, or there is mismanagement, the condo company can be open to lawsuits, the building may fall into disrepair, and the bank’s investment – which is your property in the case that you default on your mortgage – is not as appealing as a detached home without these issues. Considering these issues with condos, as well as the general difficulties with owners sharing space, paying condo fees, and general condo living, lenders, consider these loans to be riskier than a loan for a detached home. Considering the risks associated with condos, lenders will perform price adjustments and hike the interest rates for condo properties. This hike fluctuates between lenders and banks, and so if you are purchasing a condo with a mortgage, you will need to shop around to find a rate that works for you. On average, condos will have an interest rate that is higher by one-eighth to one-quarter of a percent. This applies to refinancing your mortgage as well. First time home buyers in Edmonton need to take the realities of condo ownership into account before they buy. Mortgage rates can be higher, and there will be condo fees and the fact of communal living. The positive is a great way to enter the home market, as many condos fetch a better price than a detached home, and those new to the real estate market can begin to build their portfolio and personal wealth. 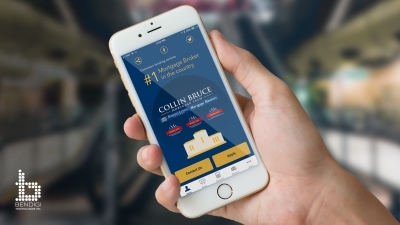 Contact us today at Collin Bruce if you are in the market for a condo, and we will help you find the best mortgage rate possible.